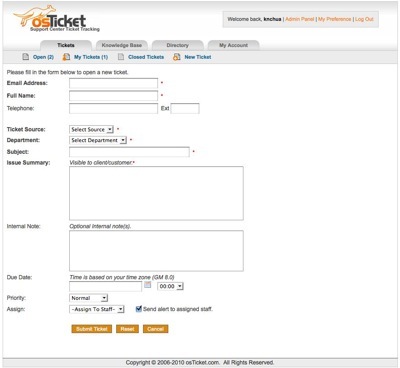 Email to create new ticket is a feature that most people is looking for. 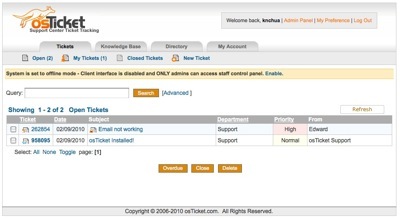 osTicket helpdesk system do support email piping and email polling (POP3/IMAP). Just look for the tutorial at their wiki page for email piping and polling at and you are set! The tutorial is fairly easy and configuration can be done within 10 minutes. 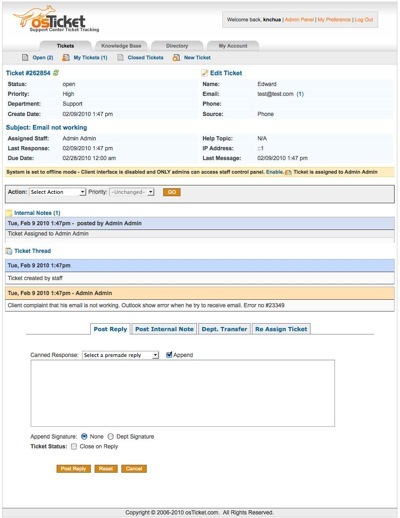 This entry was posted on Friday, August 6th, 2010 at 9:24 am	and is filed under Free Helpdesk System. You can follow any responses to this entry through the RSS 2.0 feed. You can leave a response, or trackback from your own site.